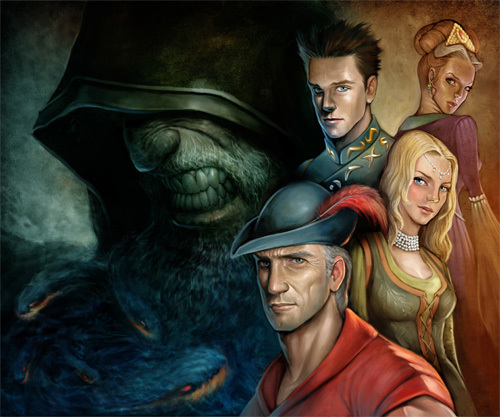 The Silver Lining is a fan-created unofficial continuation of the King's Quest series. The game is episodic, and this review covers the first episode, released for free on July 10, 2010. There was quite a bit of hullabaloo over this game. During development of the game, the staff at Phoenix Online Studios was told to stop what they were doing. Twice. 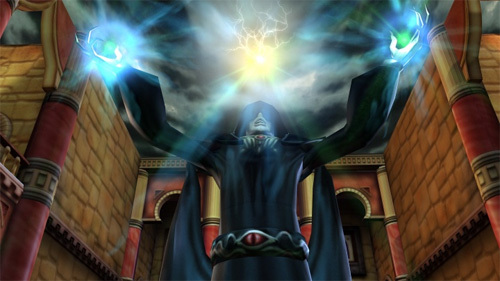 After the team was hard at work for more than four years, they announced a release date in September 2005. Immediately following, they were given a cease and desist e-mail from Vivendi Universal. Fans of the series and supporters of Phoenix Online Studios protested and sent over one thousand letters and e-mails to Vivendi Universal. By late November that year, Vivendi Universal allowed development of the Silver Lining to continue and granted with a Fan License to Phoenix Online Studios. Vivendi Universal also declared that the title could no longer reference King's Quest. What is decreed must be. The game's title was adjusted and development continued. The merge of Vivendi and Activision in 2008 brought about further disruptions to Phoenix Online Studios' progress. After negotiation, Activision removed the Fan License that was previously issued by Vivendi, and shut down the project once more. Finally, on June 26, 2010 Phoenix Online Studios announced that they would be releasing the game, with Activision's permission. The game had to be condensed to five episodes. It was originally written to encompass nine chapters. The first episode, covered here, is entitled What is Decreed Must Be, and was released on July 10, 2010. If you are a fan of King's Quest, this fan-created continuation will not let you down. Aimed at King's Quest connoisseurs, if you will, this game includes nice references to the story line that it follows. It also is fun in the nostalgic jokes that it jabs at you, the player, and even at Graham, the hero. Unfortunately, the obvious negative of this is that someone unfamiliar with King's Quest will feel like the guy at the party who does not understand any of the inside jokes. The storyline of the Silver Lining begins with a wedding. Princess Rosella is about to kiss her groom, Edgar when the wedding is crashed by a "stranger," leaving King Alexander and Princess Rosella unconscious. King Graham sets out to find a way to awaken his children, and sets out on his adventure. He will encounter many characters from previous games, donning his usual blue and red adventuring uniform. Though the storyline is repetitive and cliché, the game is actually not bad. The soundtrack is beautiful. The music seemed to match the scene and the feeling each time it started to play. On top of that, the voice-over actors were well cast and their performances seemed spot-on. The sound effects, foot stomping, water splashing, doors opening, all these also sounded very realistic. Overall, the audio in this game would impress me even if it were a full-length big budget game. The characters though blocky, are very well drawn and charming. A similar statement can be made about the settings you will travel, too. The items and buildings seem well placed and rendered. The cinematic scenes play often and are always nicely animated. Graphics are definitely not a letdown. Trying to navigate King Graham to the right locations sometimes got annoying. Seeing him jump into the water and drown when clicking on the boat does not become more fun the third time around. The controls are your standard point-and-click controls though. Point there, click, and Graham obliges (mostly) as he walks to the location you clicked on. You can use an eye cursor to investigate every item in the game. The chat icon will start a conversation with a character you click on. Much like the original King's Quest games, the narrator will poke fun at you for trying to speak to inanimate objects. There is also a hand icon for grabbing items. Careful, though, you will be cleverly scolded for trying to take what is not yours.